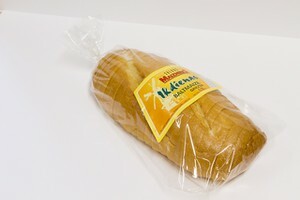 "Kurzemnieku baltmaize" is the highest quality wheat bread with added butter. You might ask - why shelf-life is so long? 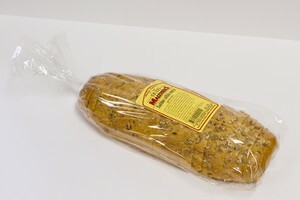 Reason is simple - after slicing bread in half, we put it in special plastic bags, which are made for high temperature resistance, and then we put it back in oven for 30 minutes in high temperature. It is very enjoyable together with milk and honey! 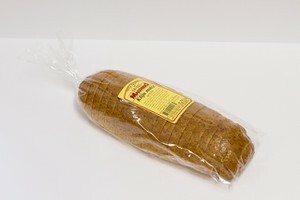 Daily wheat bread is so simple and perfect with its lovely taste, so in case You want to enjoy high quality wheat bread, choose our Daily wheat bread. "Saldus Grain bread" is filled with sesame seeds, linseeds and sunflower seeds, it is very healthy, especially for people, who choose not to eat wheat bread. Bran bread is very, very healthy. Although most of bran bread we are producing for kindergartens, schools and retirement houses, it is also possible to find it in regular shops and to cherish every meal with it!